What are the big tech trends for this year? 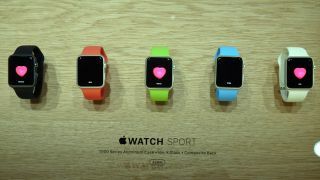 Will the Apple Watch really kickstart wearables this year? Many years ago when being quizzed as to whether 'web services' were the next big thing, Larry Ellison commented: "I've spent too much time in Italy to know that you shouldn't ignore fashion." In tech, we like nothing better than a new trend – and we all know that fashion matters, so we get on board with it. As an industry we've proven to be masters at hyping new trends, setting unrealistically high expectations for them and then, when dust settles, sometimes making money. Apple fanatics worldwide expect wearables will go mainstream following the emergence of the Apple Watch, but I'm not so sure. Let's face it, nobody under 35 wears a watch anymore – they rely on their smartphones for everything. A lot of wearables will fail, with the guys wearing their Bluetooth earpiece all day propping up the market. Now, that said, not all wearable technology will end in abject failure. Standalone, niche wearables that shake up industries for the better – such as FitBits or Jawbones that monitor vitals or health activity – will continue to flourish and be incorporated into sports clothing, shoes and equipment. Mobile devices are a driving force of disruption in almost every industry. Businesses that adapt and take their services onto the mobile device can create a direct relationship with the consumer. This creates a nirvana moment for marketers – they have the potential to intercept consumers 'in the act' and direct their attention to relevant products and services. Think about the retailer who is savvy about the consumer's location in the store, or the sports clothing company that understands exercise routines and state of health of their customers – it's a gold mine! But consumers are fickle and impatient. Many companies have been working on this for years, but I expect it will become more widely adopted. That means vast streams of data will need to be processed in real time, driving a massive increase in the adoption of technologies such as in-memory databases and flash storage. In the last decade or so, most companies have quit the business of writing software. IT departments have become experts at managing data centre infrastructure and implementing ERP systems. In the next decade, almost every industry will be redefined by software – with much of that software being surfaced on mobile devices – on smartphones and tablets for sure, but also in cars, aircraft engines, running shoes and human beings! Think about Tesla – an electric car, right? Yes, but more than that, it's a software-defined car. Tesla has done to the driving experience what Apple did to the cellular phone experience – your car is now a software platform to innovate on top of. Companies that don't innovate in this way won't last long. This trend also hits close to home – I'm not excusing the data centre infrastructure (that EMC plays in) from this. Storage arrays, servers, networks and entire data centres will be run and managed by smart software in the future. In the next decade business transformation will be driven by new, differentiated software running on mobile devices. But it won't be written the way it was 20 years ago. At school most of us forty-somethings learned that making changes late in the software development lifecycle was expensive. So we had to lock in requirements early, up front, and fight change. Change was bad. So many of us have spent our careers working on projects that lasted years and ultimately delivered the wrong thing – the magic of 'waterfall' development. If business transformation is to happen it will be driven by the business – often with "IT" (the guys writing the software) embedded in the business. Development will be iterative, employing agile techniques – prioritising work and then re-prioritising every couple of weeks based on a tight feedback loop with the business. We're talking here about a new model for IT, and one that provides almost instant gratification – a perfect fit for the millennial generation coming into the workplace. 2015 could represent the beginning of the decentralisation of IT – with IT operations staying centralised, but software development heading off into the respective business units. 2015 will be the dawn of a new era in education. We'll see the beginning of the end of lectures. Yes, as a form of learning, the professorial lecture is dead. Trials at leading universities have shown that the average student pays attention for about 7 minutes in a 40 minute lecture. If the lecture is 60 minutes the attention span actually drops! At colleges where lectures have moved online, exam retake rates have tumbled from almost 50% to single digits. And, that's not the only good news – moving content online gives educational content global reach. Imagine a world where everyone has access to the same materials our Ivy League schools teach! Next time your kids are on Kahn Academy, pay attention – you are seeing the future of education at work.